An all-time classic in the world of construction, here is the most represented kind of machinery: the backhoe loader. Born following the idea of an English engineer Sir Joseph Cyril Bamford just after the Second World War, with his concept consisting into adding to an agricultural tire tractor : a boom, stick and a bucket in the back of the machine and a front boom and a loader bucket on the front. 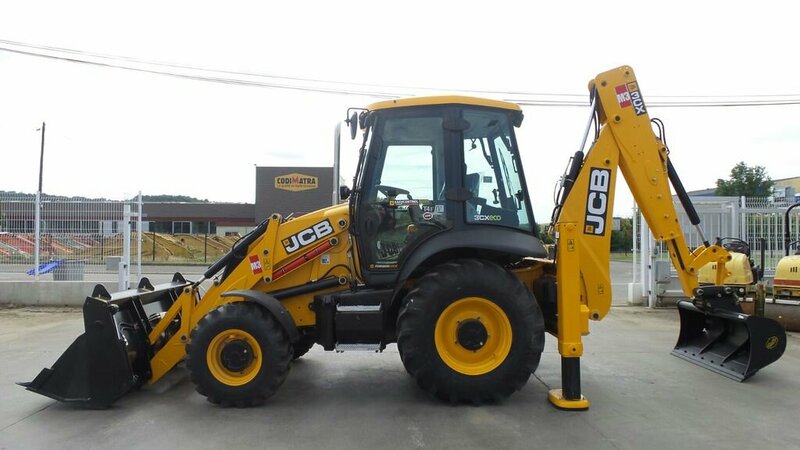 The backhoe was born under the name of a JCB brand. The evolutions of the machine were multiplied : 4 wheel drive, 4 steering equal wheels, turbo engine with its power up to 110 hp, automatic transmission, speed to 40 km/h, telescopic arm, offset, ergonomic cabin and joystick control on the driver's armrests. All these changes made the backhoe a reference for the craftsmen, local authorities and construction companies. The backhoe was however strongly impacted by the arrival and the development of compact machines like mini articulated loaders or skid steer loaders on tracks or tires and of course, the mini excavator. With its advantages, these machines are designed as their big sisters for dynamic qualities having a smaller size and therefore more manageable than the backhoe loader. Nowadays backhoe is still well-known for its versatility, agility, various equipments and reasonable size range of 3.2 to over 10 tons. Find for sale and rental backhoe loader brands like: Caterpillar 432D, the Case 580, or JCB 3CX. Codimatra, offers a wide range of used or refurbished parts for the maintenance of your backhoe.